Hope your weekend was great! We spent another weekend at the beach, spring cleaning, but still managed to have some fun!! 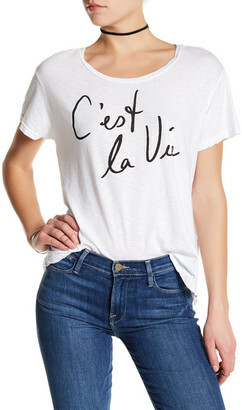 Here we are at Monday again and like my t-shirt says, c'est la vie. I found this cute shirt for spring at Nordstrom Rack. 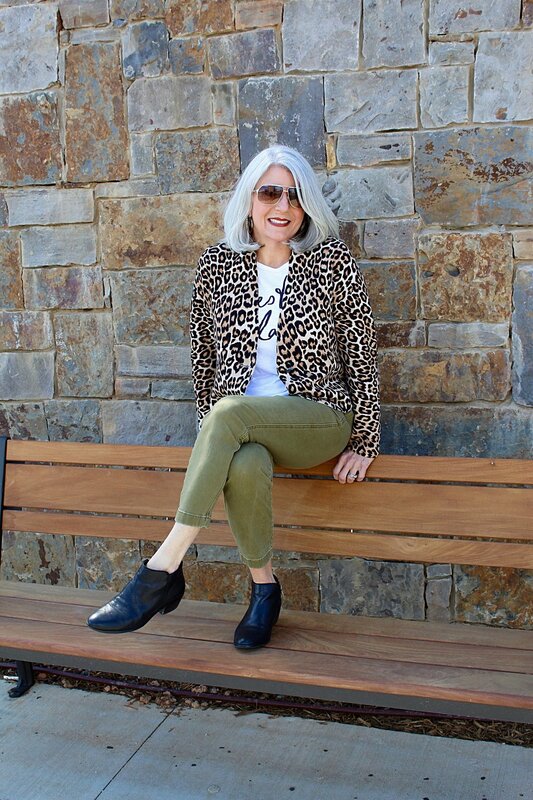 The sweater is from Chico's and was part of last falls collection, but in my opinion, can be worn fall, winter or spring. The olive green pants are from J. Crew and are such a great fit. My black suede bag (can you tell I like fringe) is FTC; Ralph Lauren but check out similar in the gallery. And these great, hoop earrings are from the sale rack at Chico's. I hope you all have a wonderful week. I will leave you with a quote I fell in love with over the weekend. "A candle loses nothing by lighting another candle. --James Keller"
Lift someone up, help another and take the time for even a quick smile in passing.